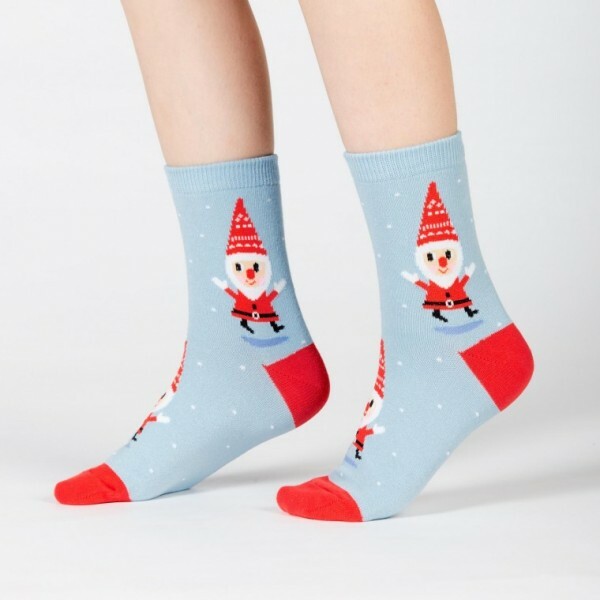 These bright blue knee highs are ready to take you on a gnomen holiday! These guys are so happy to see you because 1. They are just generally in good spirits, and 2. They finally get to tell the world that elves are out and gnomes are in! The elves had their chance and now it's the gnomes' time to be Santa's little helpers. So, if you suddenly find your garden gnome missing from your yard, he's off helping a good cause, making toys for all the good girls and boys! 73% Cotton, 25% Polyester, 2% Spandex. Made in Korea. Our threads are certified by OEKO-TEX® Standard 100, which means we leave out harmful chemicals to keep your skin safe and happy.